The theme for August's Sunday tours is pre-Fire London, with the emphasis on the Tudors. This is an idea which came to me after seeing an excellent Richard III given by the Malachites at the Rose Theatre, Bankside. 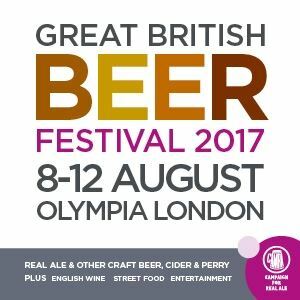 With the fortieth anniversary outing of the Great British Beer Festival coming up soon, I'm offering my 'Booze and the Borough' tour on 8 and 11 August at 11:00 and 12 August at 2:30. This tour seeks to give a depth to the appreciation of alcohol through exploring the rich relationship between the Borough and brewing, hospitality, and the wine trade. I'm afraid there's no drink taken on the tour, but we do pass some very good pubs for reference purposes! The nearly three weeks since the last blog have been dominated by Horace Rumpole, barrister at law and Old Bailey hack, created by John Mortimer QC. 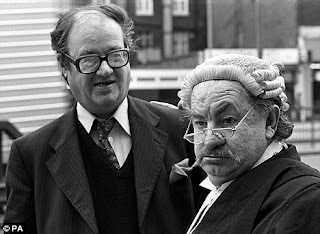 'Rumpole and the Legal Life', my latest tour, will follow Rumpole's experiences as a barrister and will feature readings from some of the many stories. As the focus is on Rumpole himself, the tour takes in some of Legal London but not all. That's for another time, probably next year! I will be offering the usual reduced-price preview of the tour on 19 August, with all places at £5 a head. You can't book for this on-line, but an e-mail to me at charnowalks-bgn@yahoo.co.uk will reserve you a place. 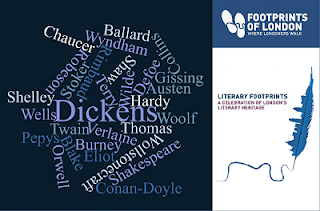 Preparations are underway for October's Footprints of London Lit Fest 2017 (this is 2016's promo image), with my friend and fellow City guide Jill Finch at the helm. Details to emerge soon, but the above Rumpole tour looks likely to be included. There is a colossal choice of tours to come, and hopefully we will be offering a season ticket deal again. This ticket gives unlimited access to Lit Fest tours - so far the record is twenty-eight tours on one season ticket! Well, that brings you up to date with the currents carrying the Good Ship Charnowalks into August with an eye on September and October! I shall get a less loaded blog entry to you in a fortnight's time, with a steadier focus which will include the new run of the Walkie Talkie guiding course! Hoping to see you on the streets soon!